John Myers has been executive director of Indian Creek Nature Center in Cedar Rapids, Iowa since May 2013. Working with the organization’s board of directors, John leads the strategic planning and growth of the organization ensuring that its vision to create champions of nature is achieved. John manages a staff of fifteen, 500+ acres of land, and a $950,000 annual budget, as well as a multi-million dollar endowment. He currently is championing two projects. The first is a running a 12,000 sq. ft., NetZero energy and water facility, one of the most sustainable buildings in the United States which is under certification review by the Living Building Challenge. The second is developing a 200-acre farm focused on sustainable and restorative agriculture. He has a bachelor’s of science degree in business administration and is an Eagle Scout. Prior to joining Indian Creek Nature Center John worked for the Boy Scouts of America, as well as several other nonprofits in the Eastern Iowa area. He is active on the boards of Go Cedar Rapids, Monarch Research Project, Greater Cedar Rapids Community Foundation’s Nonprofit Network, and the United Way Education Solutions Team. 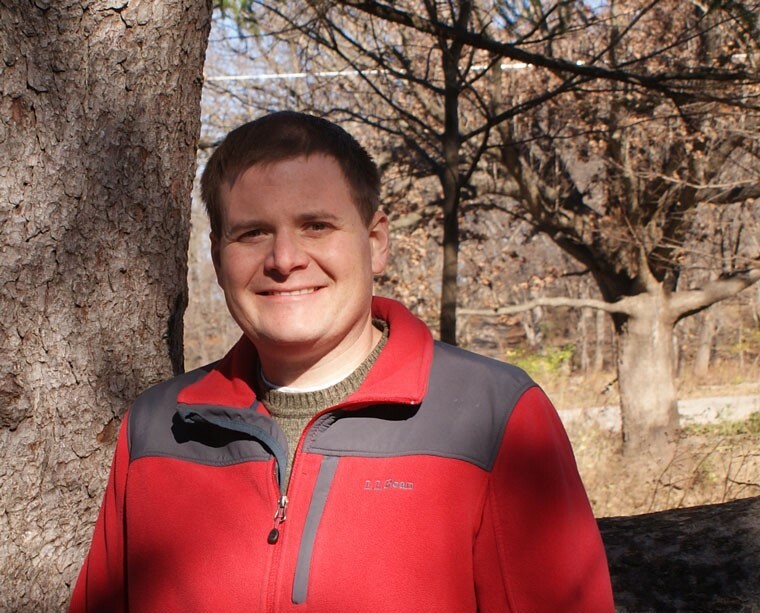 John is a member of the Association of Nature Center Administrators (ANCA) and serves on their development committee. He was selected to receive the 2016 ANCA Outstanding New Leader Award recognizing his leadership and growth of Indian Creek Nature Center. John is also a member of Cedar Rapids Daybreak Rotary. John and his wife, Meridith, reside in Marion, Iowa with their three children, Angela, Ryan, and Jackson. In 1849, two farms were established on land that would later become Indian Creek Nature Center. Nestled near the confluence of Indian Creek and the Cedar River, this land changed hands several times before Milo Wolfe purchased what is known today as the Bena Farm. The farm remained in the Wolfe family until 1899, when William Christle purchased it. For twenty years the Christle family owned the property, then sold it to Wencil and Carrie Bena on March 1, 1920. Carrie was William Christle’s daughter. 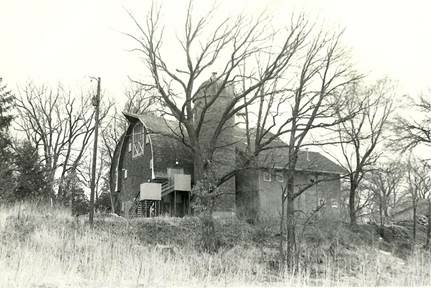 The farm remained in the Bena family until it was sold to Indian Creek Nature Center in 1994. In the mid-1920s, Charles Penningroth, a Cedar Rapids attorney, purchased other land bordering Indian Creek. For the next 25 years, under Penningroth ownership, the land was utilized for various forms of agriculture. Construction of the Penningroth Dairy Barn was completed in 1932 in the midst of the Depression. The remodeled barn served as the headquarters of the Nature Center from its opening in 1973 until 2016, when the new Amazing Space building and campus is slated to open. The barn will continue to be utilized for Nature Center activities. In 1968, the City of Cedar Rapids used Federal Housing and Urban Development funds to purchase about 1000 acres of floodplain along the Cedar River. This land, known as the Greenbelt, stretches from southeast Cedar Rapids to Indian Creek, then extends north through the lower Indian Creek valley. The Penningroth farm was part of this purchase. In 1970 B.B. Stamats visited a nature center in the Twin Cities and became an advocate for an environmental education center in the Cedar Rapids area. B.B. and Jean O’Donnell shared this vision and recruited a steering committee of about forty community members. Indian Creek Nature Center was incorporated as a nonprofit in 1973 but a physical site had yet to be found. Studies identified Penningroth farm, now owned by the City of Cedar Rapids, as the best site. 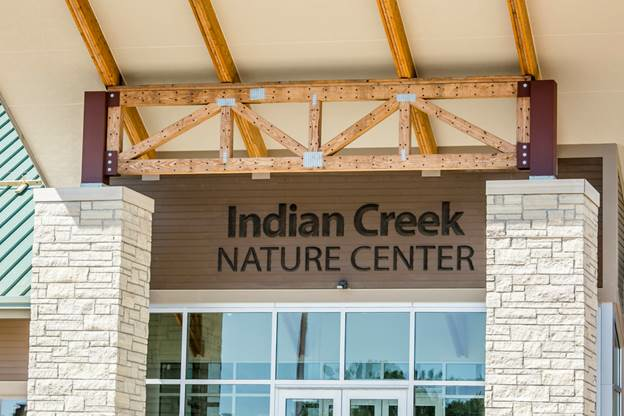 A lease for the barn and 120 acres of land was arranged and the Indian Creek Nature Center became the first nature center in Iowa. The first public program was held on Groundhog Day in 1974. In 1980, the Heritage Conservation and Recreation Service declared the Nature Center’s trails the Cedar Greenbelt National Recreation Trail. Establishing its role as a leader in outdoor education, in 1982-83, the Nature Center planned and piloted its preschool and second grade programs. An exceptional and unexpected opportunity came to ICNC in 1994 when the Bena family offered to sell their farm to the Nature Center. 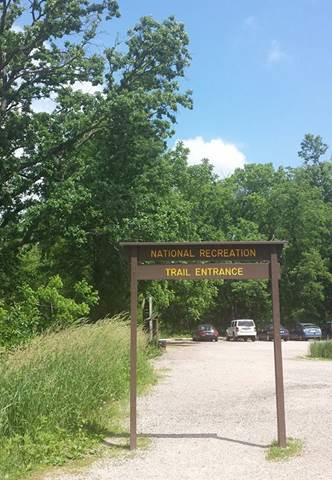 The resulting transaction increased Nature Center land to 210 acres. BB Stamats’ and Jean O’Donnell’s dream of a nature center for their community materialized into green prairies, teeming wetlands, and protected woodlands that thousands of visitors enjoy each year. 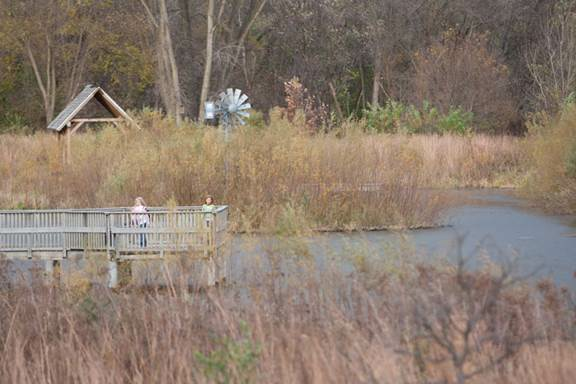 The Paul & Sigrund Lynch Wetland, the site of hundreds of Nature Center programs on wetland flora and fauna, was established in 1999. In 2004, ICNC hosted its one-millionth visitor and accepted the challenge to purchase the Bena Homestead as part of its “Stitching the Bena Farm Back Together” project. In 2005, ICNC drafted and began implementing a strategic initiative to provide leadership in land protection and restoration. The initiative expands the Nature Center’s work in the community to provide long-term, healthy ecosystems that benefit wildlife, the environment, and future generations. In 2009 ICNC, in partnership with Metro High School staff and students, constructed and dedicated it’s Sense of Wonder Trail/Outdoor Classroom, which was certified as a Nature Explore Outdoor Classroom by the National Arbor Day Foundation and Dimensions Educational Research Foundation. Also in 2009, the Nature Center’s trail system expanded with the completion of Wood Duck Way and the Founders’ Trail. In 40 years, Indian Creek Nature Center increased its annual attendance to over 40,000 individuals per year, including approximately 14,000 children attending programs and school field trips. While a cherished landmark, the Nature Center’s barn building presents many inadequacies that hinder its use as a center for learning and exploration. Lack of accessibility to persons with disabilities, no air conditioning, and no dedicated classroom space are among the primary obstacles. To bring the Nature Center into the future, and after much input from stakeholders and the general community, the Amazing Space project was born. The 12,000 square foot building on Nature Center land, and the accompanying campus, addresses the shortcomings of the barn building, while making the Nature Center’s outdoor habitats more accessible. It also achieves the Future Living Institute’s Living Building Challenge, a true measure of environmental sustainability. The Amazing Space fundraising campaign included $1 million in funds to build the Nature Center’s endowment, ensuring financial sustainability now and into the future. 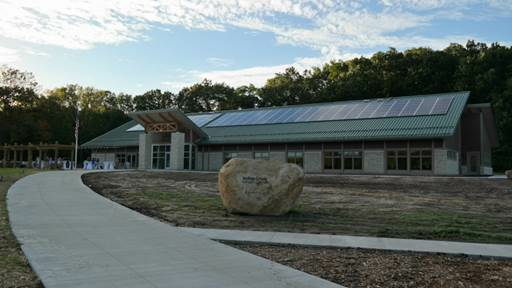 Indian Creek Nature Center is poised to bring the best of nature to the people of Iowa and beyond for many years to come. The most recent donation to the Nature Center is a gift of land from the Etzel family. This property consists of timber, pasture and farmland. This land has been in the Etzel family since 1888 and is valued at more than $1 million. “This donation is a testament to the Etzel family’s trust and confidence in Indian Creek Nature Center. As the Nature Center enters a new era, we will maintain the land’s strong history of agricultural production and take this opportunity to grow our sustainable agriculture and local food programs,” stated Executive Director John Myers. Etzel Sugar Grove Farm – a working farm which includes pasture, timber and farm ground. The timber consists of a maple grove where ICNC intends to harvest sap to increase its annual maple syrup production. Throughout the pasture and woodlands, natural springs are interspersed among the 100+ year old trees. Remnants of an old stage coach road are still visible as well. Lafayette Mill – property is registered on the National Historic Registry, as remnants of one of the first saw and grain mills in Linn County resides there. Otter Creek flows year-round through these grounds. George Etzel Timber – 39 acres of dense woodlands characterize this land. Prime habitat for deer, turkey and fox – keeping this land natural will continue to support the ecological health of the property and surrounding land. The Etzel family has also established the “Etzel Sugar Grove Farm Endowed Fund” at the Greater Cedar Rapids Community Foundation, with distributions to pay for the property’s ongoing expenses. This donation brings Indian Creek Nature Center’s total land ownership and management to 482 acres, all in Eastern Iowa.